Needles and Hooks and Books, Oh My! 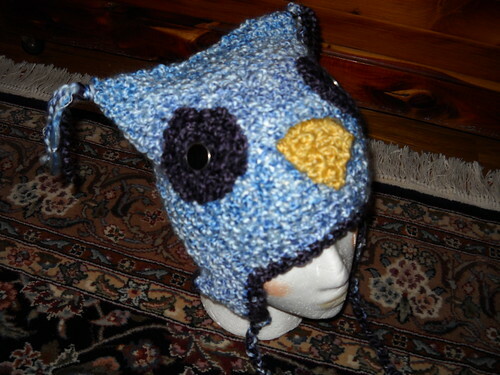 : FO Friday: Owl hats! 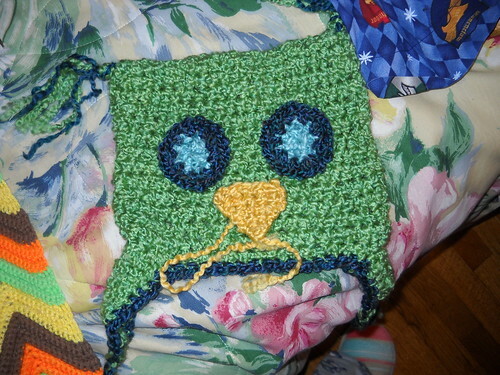 Inspired by Pinterest and a pattern on Rav, I finally made an owl hat. I did share it earlier in the week, but I wanted to share it again, because I am so glad that it worked out the way I wanted it to. I made a second one, shortly after finishing the first one, but did the eyes slightly different. Can you tell? These are also part of my stash bash, as the yarn I used was leftover from my scarves and shawls that I make for my craft shows. I really like this design for hats, and might make a few plain ones. For now, I'll just stick with the 2 I've made, see what sort of interest I get on my Facebook page. If I get interest there, I will probably make a few more for the fall show. 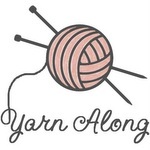 Linking up with Tami's Amis! Love your owl hats! Its funny I saw someone wearing one of these style hats yesterday!!! very cute owl hats! 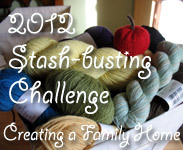 Thanks for hooting along with the Stash Bash!